Preparing For Our Children's Future: Coming Soon- Yogurt Maker Product Review! I love kitchens, and I have a Long wish list of things I would have in my dream kitchen! Some bar stools and a island is on the top of the list, then a Kitchen Aid Mixer, sprout grower, and on and on! I am very excited that CSN stores is giving me the opportunity to mark off one item on my list! 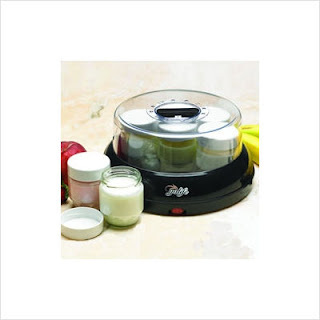 They have offered me a review on the Tribest Yolife Yogurt Maker!!!! I can hardly wait! Follow my blog and come check back often so you can read the review!